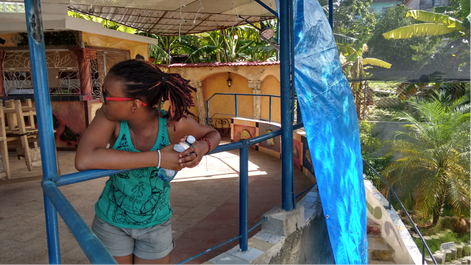 Monday was day seven of our ten day trip with high school students through “La Habana”. As was similar to each day in our trip, we visited four community projects throughout the day, as our “People to People” visa with Cuba left very little wiggle room in our schedule. This jam-packed schedule was to our benefit, however, giving us many opportunities to meet outgoing Cubans, and to hear their stories. Our hosts at each community project were going to incredible lengths to preserve their cultural heritage and to raise their communities to even greater heights. 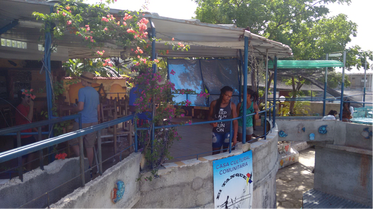 Our first community project on Monday was a visit to “El Tanque: Casa Cultural Comunitaria” which was named for the hollowed out water tank that stood in the middle of the cultural center. As our dynamic guide informed us, El Tanque stood on land that was a landfill before construction began for the community project. The art around El Tanque was incredible, and was created by famous Cuban artists in many different mediums, for an eclectic and vibrant look. 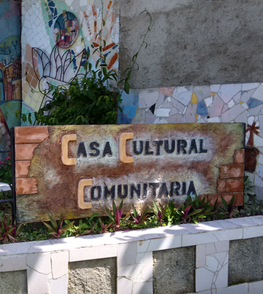 Our guide explained that the cultural center was used for community classes and workshops for children and adults alike, and that his course in English Literature was to begin the following day. 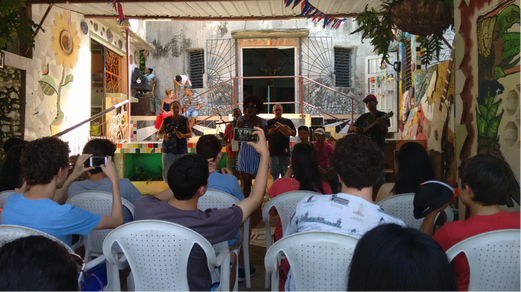 Our tour of El Tanque was rounded off by a tasteful performance of a few Cuban classics, with a band led by El Tanque’s chorus director, and accompanied by singers and dancers from the student art community. In a return trip, El Tanque would definitely be worth a repeat visit! In the future I would love to include students in a half or full day set of workshops with the talented artists from El Tanque, in addition to the performance and tour. Any chance for a hands-on opportunity throughout the trip was welcomed, and this visit would have been a great chance to gain skills and strengthen relationships.